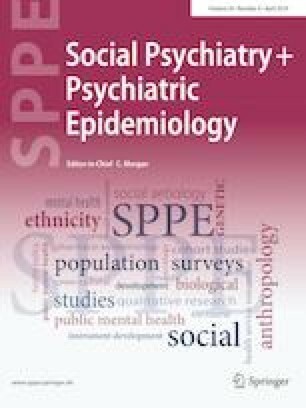 This study assessed the association between subclinical social fears and a 12-month diagnosis of Social Anxiety Disorder (SAD) at baseline and the risk of incident Alcohol Use Disorder (AUD) at follow-up, compared to those without subclinical social fears and a 12-month diagnosis of SAD. We performed an individual participant meta-analysis based on data from two national longitudinal surveys. Wave 1 of the National Epidemiologic Survey on Alcohol and Related Conditions (NESARC) was conducted in 2001–2002 in a sample of 43,093 adults and Wave 2 was conducted in 2004–2005 in 34,653 of the original respondents. Wave 1 of the National Comorbidity Survey was conducted in 1990–1992 in a sample of 8098 respondents and Wave 2 was conducted in 2001–2002 in 5001 of the original respondents. Binary logistic regression analyses were performed independently in each study and then the effect estimates were combined using random-effects meta-analysis. Neither subclinical social fears nor 12-month SAD at baseline were associated with incident AUD at follow-up. These findings conflict with reports of previous studies that a diagnosis of SAD is a risk factor for AUD in adults, and suggest that subclinical social fears are not associated with differential risk of incident AUD. BM received funding from the Johns Hopkins Epidemiology and Biostatistics of Aging Training Program of the National Institute on Aging (NIA) under award number T32AG000247.